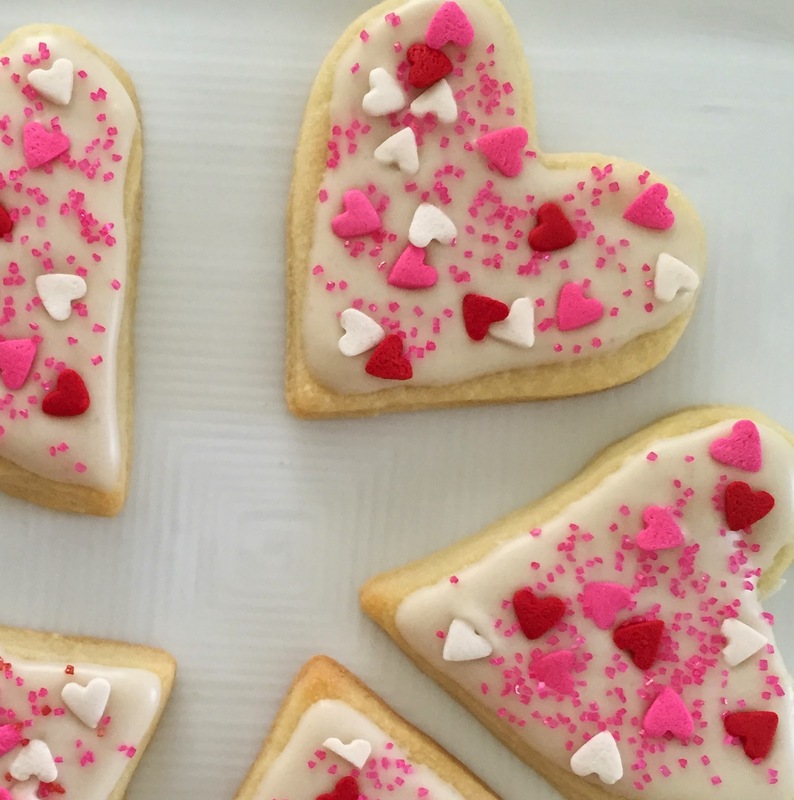 My love of Valentine's cookies goes way back. 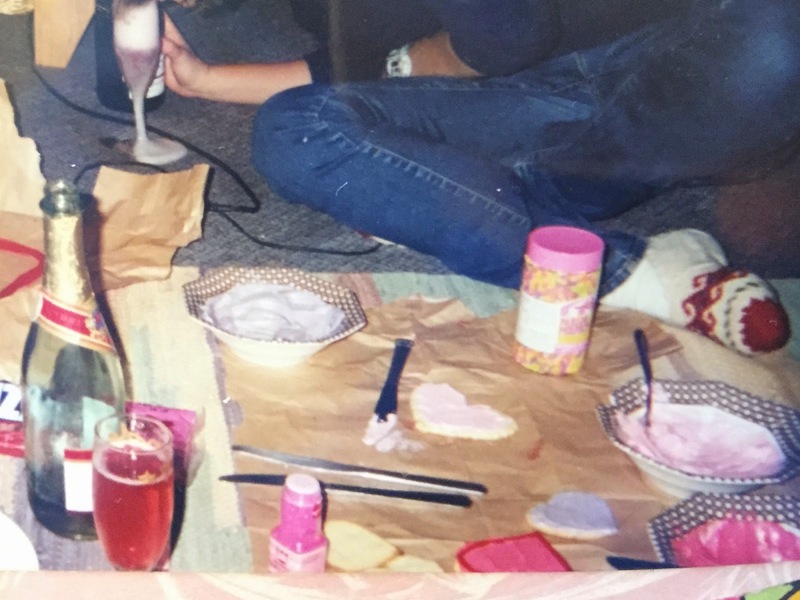 I even uncovered this gem from college in which I got all my roommates to spend the day Valentine cookie decorating while sipping champagne. Over the years I've tried different styles and different recipes, and this year I experimented a bit, too. 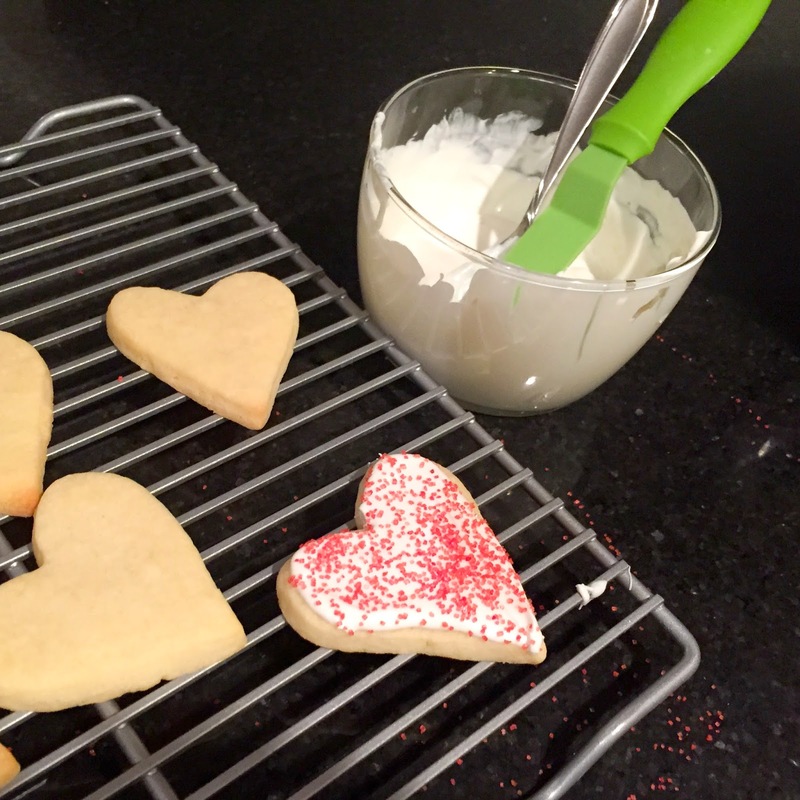 I found what I think is my very favorite spin on sugar cookies: almond extract! I actually doubled SheShe's recipe because I wanted a ton of cookies. You can half mine and still get a decent amount. 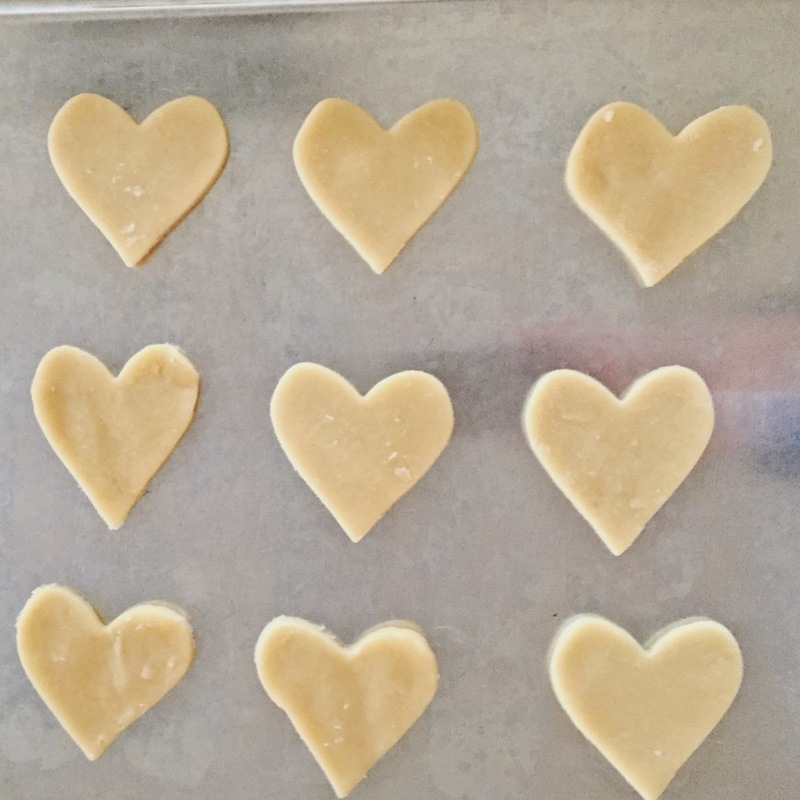 After the dough was cooled in the fridge, I just rolled it on a floured surface and used a heart cookie cutter to make my shapes. 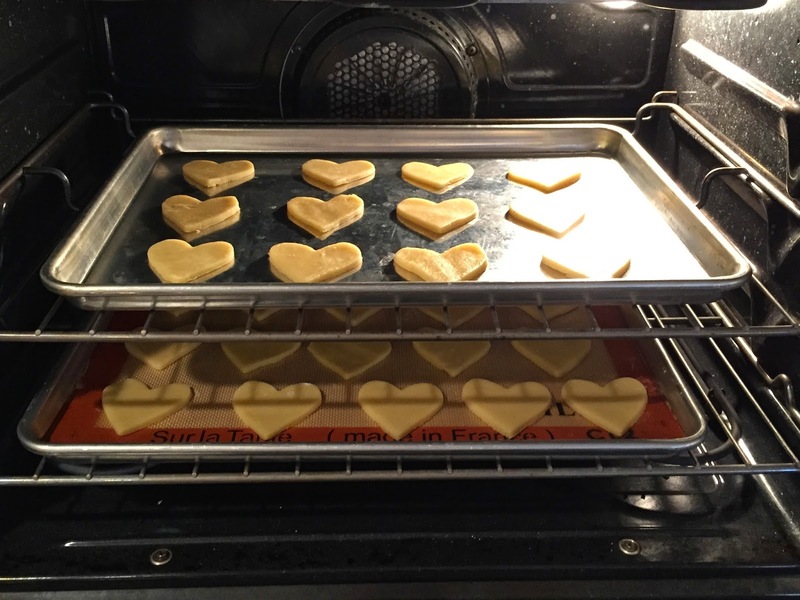 I baked the cookies on ungreased baking sheets and also ones lined with a silpat. I didn't notice much of a difference, except that the silpat took maybe a minute longer to reach the same doneness (I was also using a convection oven for the first time, thank you new house!). 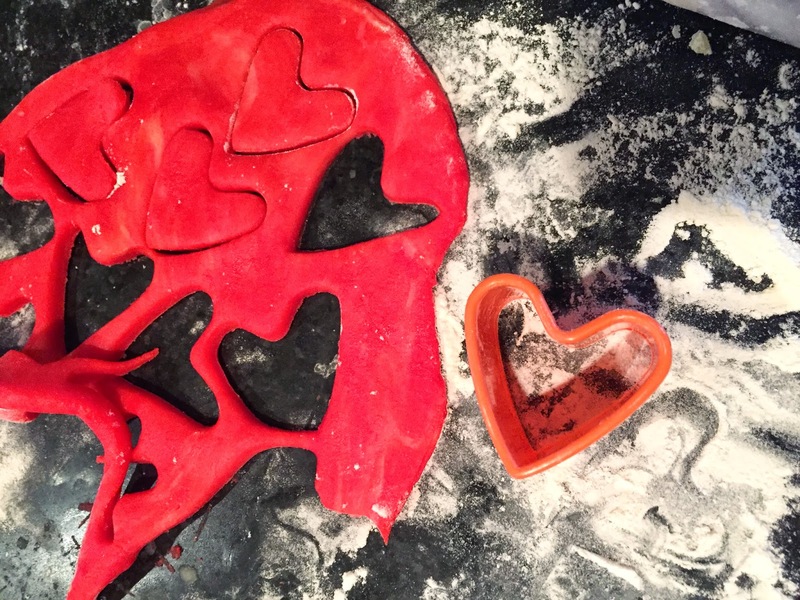 I wanted to try out some colored dough so I added some red food coloring to the last bit of it in the bowl, then rolled it out to make my shapes. 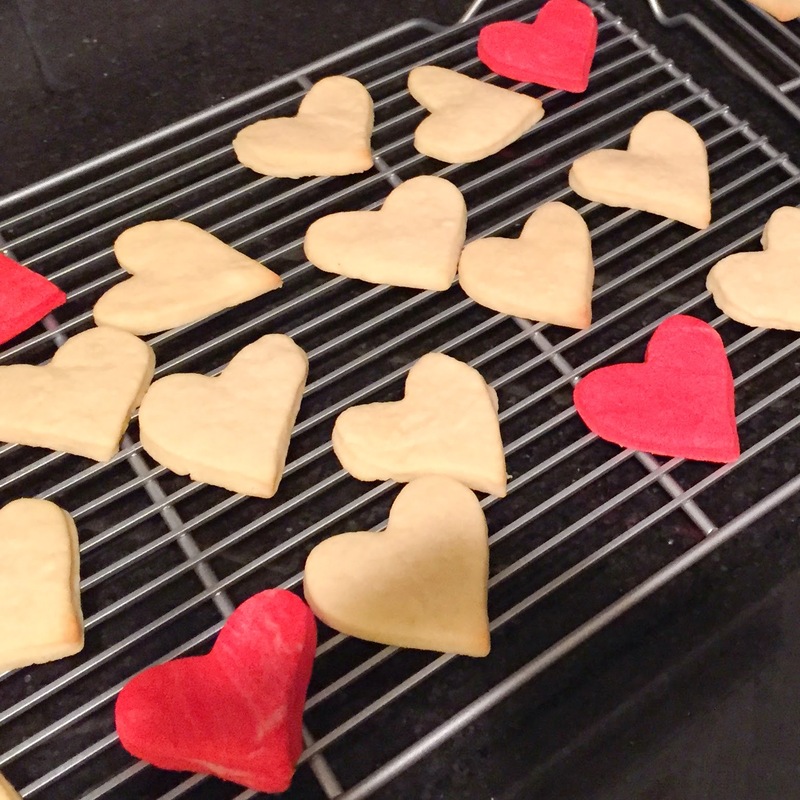 All the finished cookies definitely tasted of almond extract in a wonderful yummy way! Now onto the frosting! For the first half of the cookies, I used my sister's tried and true method of frosting with Candy Melts . And microwave until I can stir and melt them. 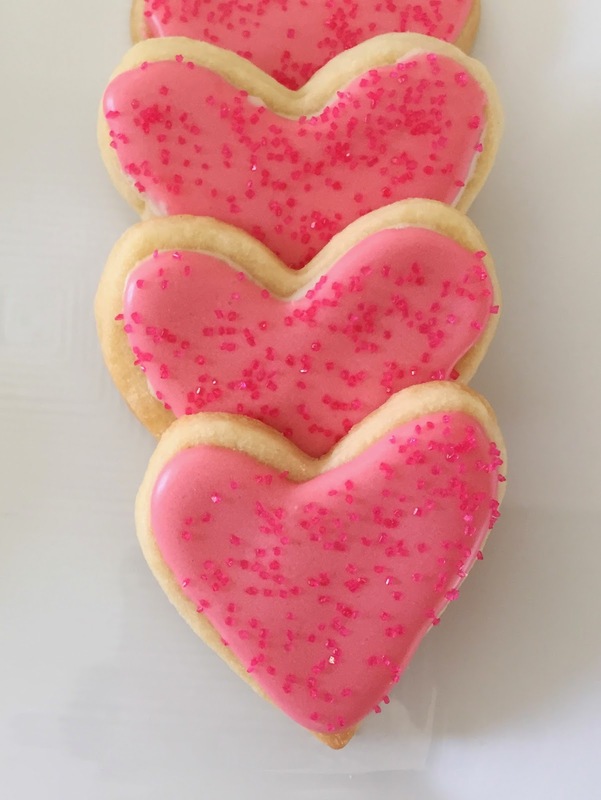 The trick is to frost the cookies and decorate them quickly, because once the candy melts start to cool down, they harden right away. So, I basically frost, sprinkle, and repeat (and the bowl itself needs additional warm ups in the microwave from time to time while decorating). I use this mini icing spatula to put on the frosting. I bought it out of the tubs at the register at Sur La Table some years ago, but it looks like they stopped carrying them. Any mini spatula or spreader should do the trick, though. 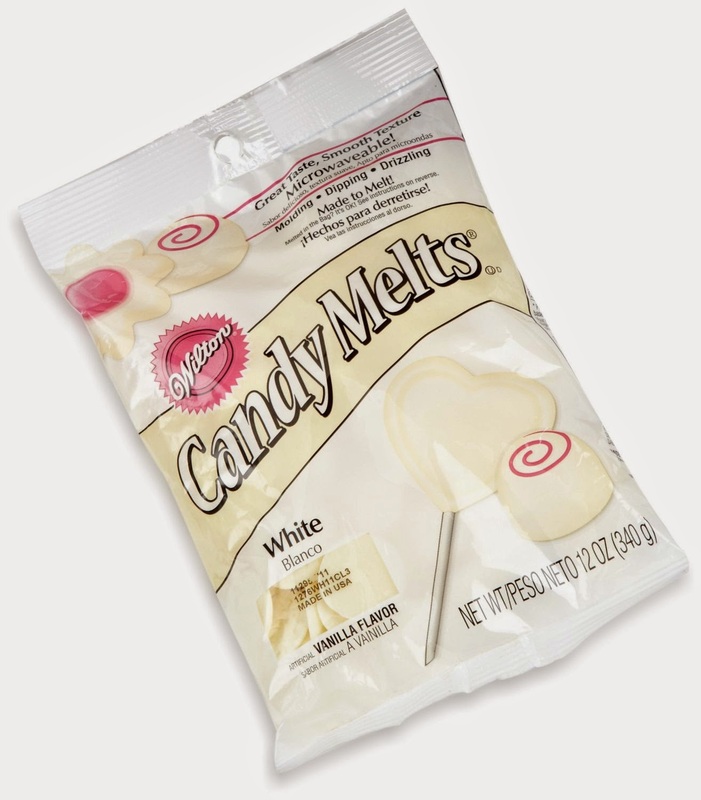 The candy melt topping comes out super white and dries quite hard, which is perfect for packaging them up because you don't have to worry about the frosting smudging. 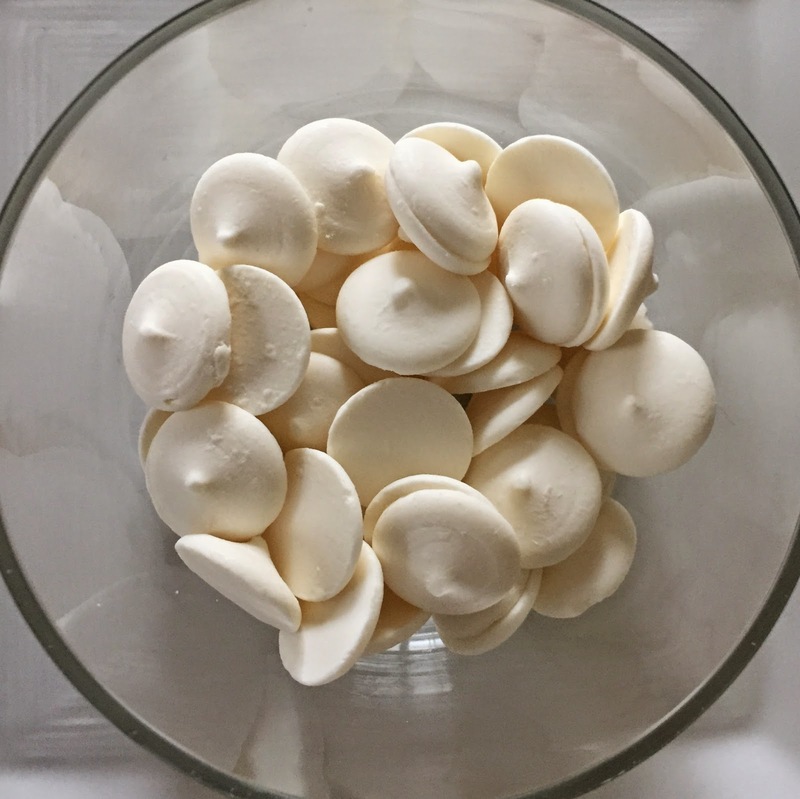 For the remaining cookies, I whipped up some meringue icing using Meringue Powder . Like the candy melts, this frosting dries super hard. Put sugar and meringue powder in a large mixing bowl. Add warm water and almond extract. Beat on slow to medium speed 8-12 minutes. Beat until the icing thickens and can stand in peaks. Add more water, a little at a time, and continue mixing slowly until you get the consistency you want. 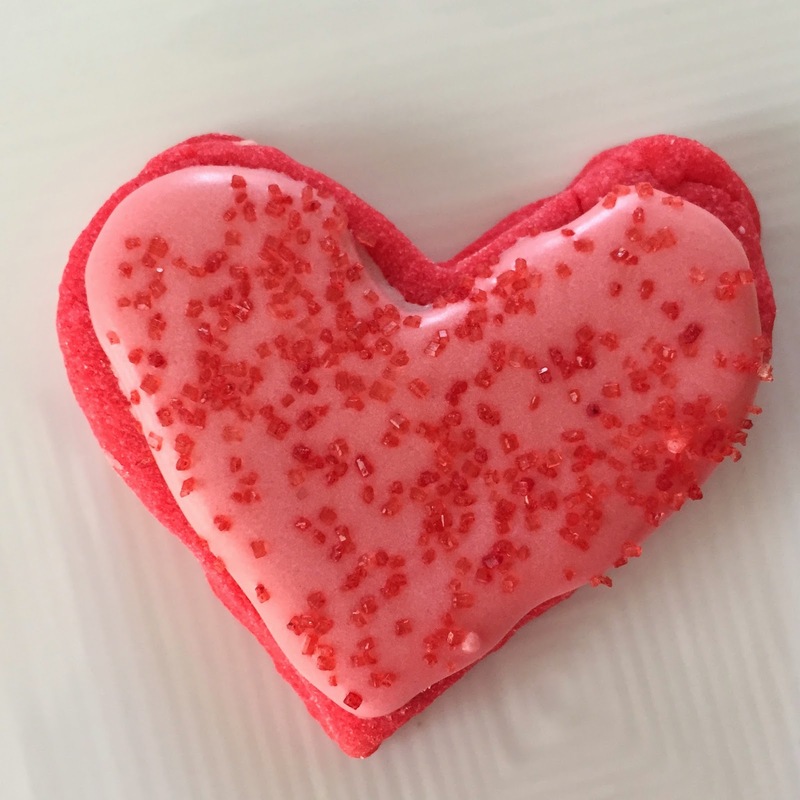 This frosting takes a bit of work to make (especially compared to the candy melt method which takes pretty much zero effort), but it comes out super smooth. If left white, the color is not as bright white as the candy melt frosting though. After frosting a number of cookies, I dyed the rest of the meringue frosting pink (using just some red food coloring). I loved the color it made! I think adding food coloring to the meringue frosting is the way to go! 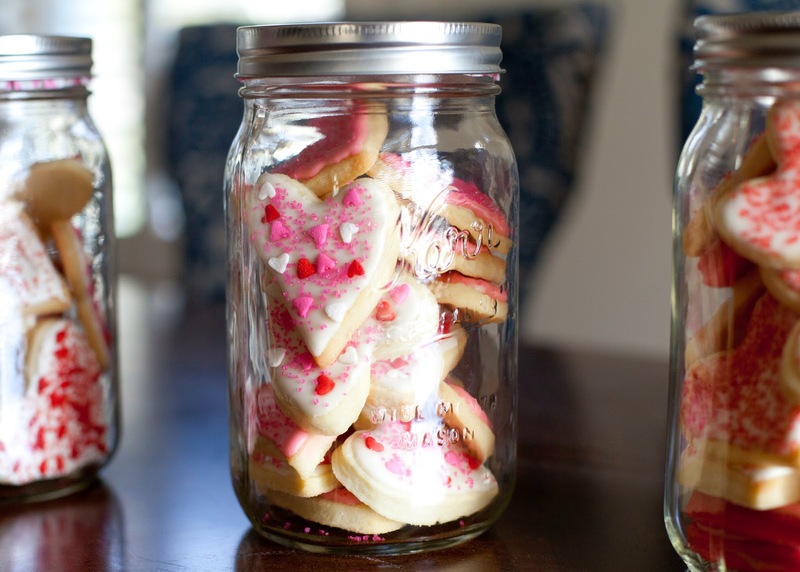 I covered all the cookies and let them sit overnight, then packaged them up in mason jars to hand out to our neighbors on Valentine's Day. 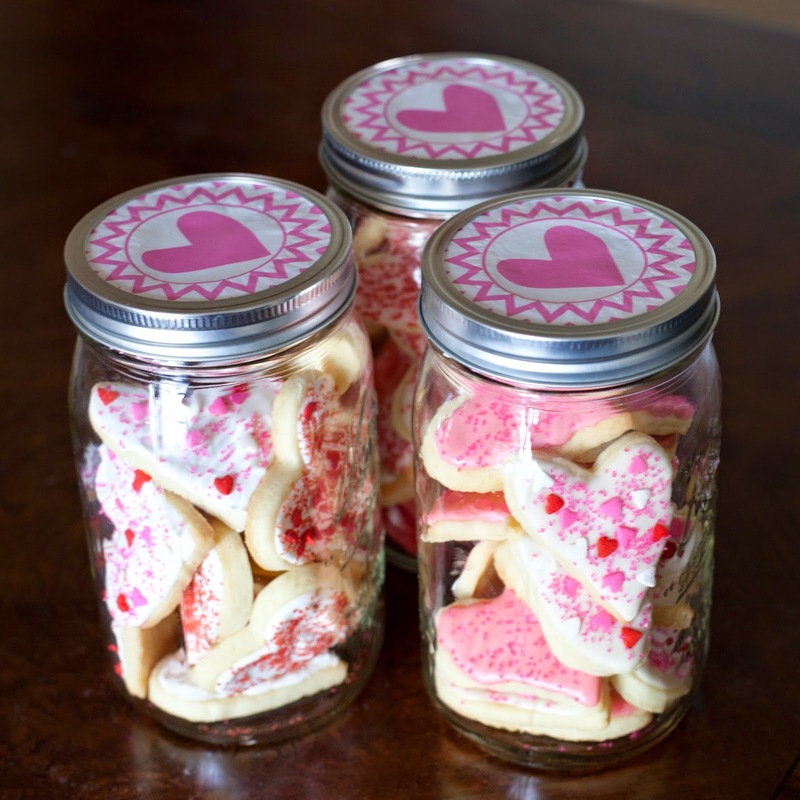 I flattened out some Valentine cupcake liners that I had on hand and covered the tops of the jars with them before I screwed on the caps. Easy and festive! 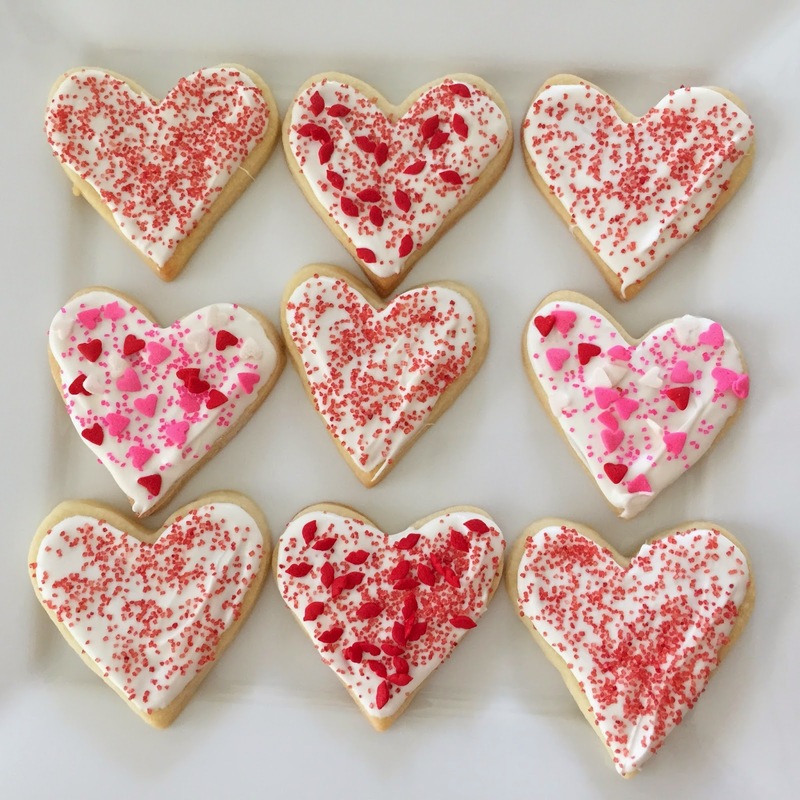 I hope your Valentine's Day was just as sweet! Now, what are your baking secrets?? Thanks for sharing! I loved this! I am totally trying this asap! 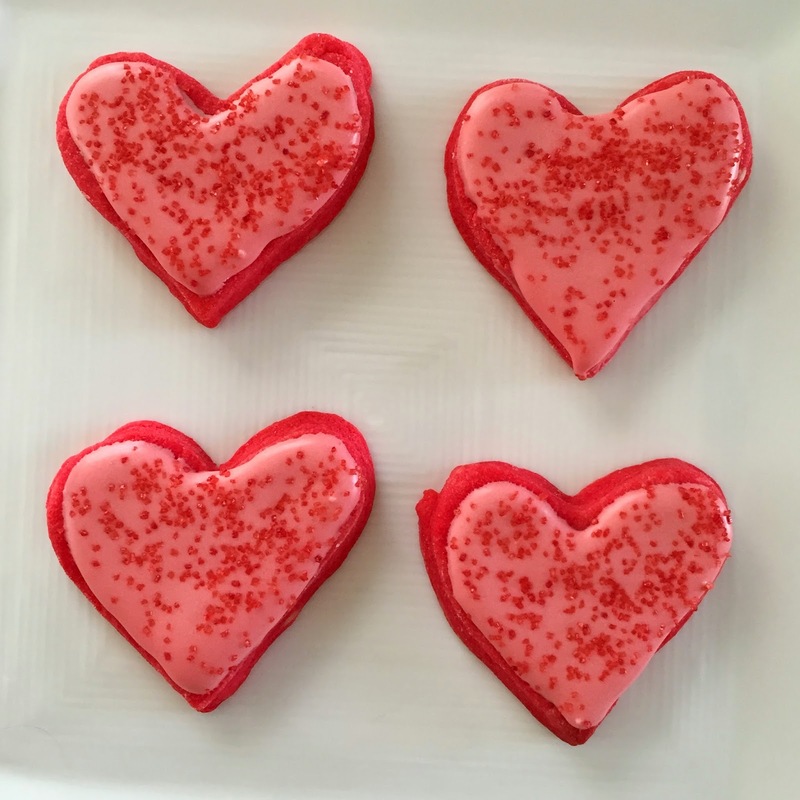 Five Friday Favorites: Valentine's Edition!